We can offer owners total confidence in a professional, well established and reliable management company, enabling us to care for your overseas property. We can assist with all your requirements and can prepare a tailor made package to suit your needs. Please feel free to contact us for any estimated quotes. 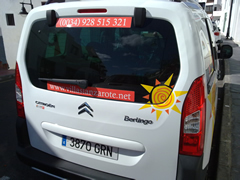 After spending many years living in Lanzarote, we are familiar with the Spanish system and the way it works with the ability to converse in English and Spanish.